Wilaya de Auserd, May 31, 2017 (SPS) - The first meeting on the thoughts of the martyr Mohamed Abdelaziz was inaugurated on Wednesday in wilaya of Auserd, with the presence of the Prime Minister, Abdelkader Taleb Omar, the Speaker of the Parliament, Jatri Adduh and other members of the National Secretariat and government, as well as members of Saharawi National Council and representatives of national institutions and foreign delegations. 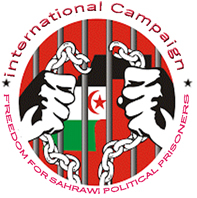 Chahid Elhafed, May 31, 2017 (SPS) - The Saharawi people commemorate today the first anniversary of the death of its martyr president, Mohamed Abdelaziz, a distinguished figure by his political career and his struggle for independence of Western Sahara, occupied by Morocco and for the inalienable right of the Sahrawi to self-determination. Santiago de Compostela , May 30, 2017, (SPS) - The General Union of Workers of Saguia el Hamra and Rio de Oro (UGTSARIO) participated in the seventh Congress of the Galician Intersindical Confederation (CIG), with a delegation headed by the foreign affairs and cooperation officer of the organization, Mr Laabeda Kaziza. Havana, May 30, 2017 (SPS) - The President of the Republic, Secretary General of the Frente POLISARIO, Brahim Gali, during his official visit to Cuba has met with the Saharawi students in the city of Santiago de Cuba and in Havana. Havana, May 30, 2017 (SPS) - The Minister of Education, Mohamed Moulud Mohamed Fadel, was received Monday in Havana by his Cuban counterpart, Ana Elsa. The meeting, attended by the ambassador in Cuba, Malainin Atgana and the director of foreign relations and cooperation in the Cuban Ministry of Education, constitutes an opportunity to evaluate the high relations between the two countries in the field of education. Madrid, 30 May , 2017 (SPS). The International festival film of Western Sahara FiSahara concluded its activities Monday in the Spanish capital Madrid with the presence of the Saharawi ambassador in Algeria and a representation of the Ministry of Culture and Spanish solidarity movements with the Saharawi people. Birh Lehlu, May 29, 2017 (SPS) - The President of the Republic, Secretary General of the Frente POLISARIO, Brahim Ghali, sent a message of congratulations to His Excellency Dr. Mulatu Teshome, President of the Republic Democratic Republic of Ethiopia on the occasion of the celebration of the National Day of the Republic of Ethiopia. Bir Lehlou, 29 May 2017 (SPS) – The Frente POLISARIO has “strongly” condemned the proposal of the European Commission, the Council of the European Union is expected to decide on, for a mandate to negotiate a revision of the 2000 EU-Morocco Association Agreement, which would include Moroccan products originating illegally in Western Sahara under the trade preferences of that Agreement. Havana, May 28, 2017 (SPS) - President of the Republic, Brahim Ghali, and his Cuban Counterpart, Raul Castro, have discussed in Havana cooperation between the two nations. Cuban President Raul Castro received Friday the President of the Republic, Brahim Ghali, who is on an official visit in Cuba. Santiago de Cuba, May 28, 2017 (SPS) President of the Republic, Brahim Ghali, paid Saturday tribute to the leader of the Cuban revolution, the late president Fidel Castro, in the cemetery of Santa Ifigenia, where he laid wreaths of flowers. The President of Republic, who arrived in Santiago de Cuba during the third day of his visit in Cuba, paid tribute to José Martí as well.